Patrick Fehely House | Historic Jacksonville, Inc. 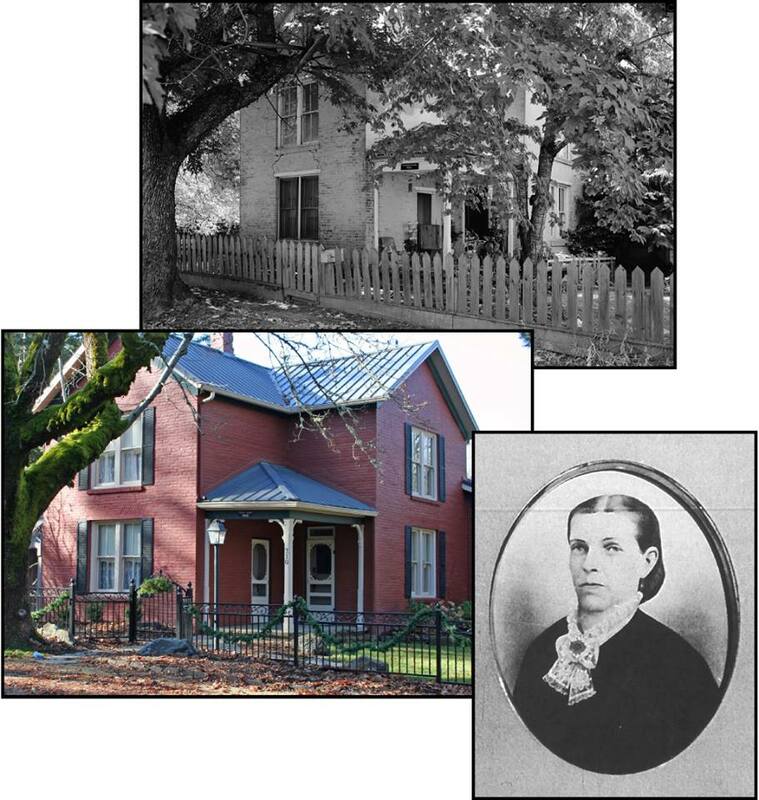 When 34-year-old Sarah Jane Fehely died from typhoid in 1871, she left her husband Patrick with 7 children to raise. Following the Fehely’s marriage 20 years earlier, the birthplaces of their children traced their travels in pursuit of gold from Wisconsin to Jacksonville. “Fehely Gulch” near Lewiston in Northern California marks one of their stops. The Fehelys arrived in Jacksonville prior to the 1860 census, which shows Patrick as a “farmer.” During the next decade he appears to have periodically left his wife and children, venturing to gold fields in Idaho and Montana and engaging in farming near Seattle. He had returned to Jacksonville prior to Sarah Jane’s death, and 2 years later built the 2-story brick home at 710 South 3rd Street to house his family. The 1870 census shows Patrick employed as a “brick maker.” He is credited with constructing many of Jacksonville’s early brick commercial buildings, possibly in partnership with fellow Irishman P.J. Ryan. Fehely’s brickyard was reportedly located behind his house on Daisy Creek and considerable amounts of brick have been found in the area.